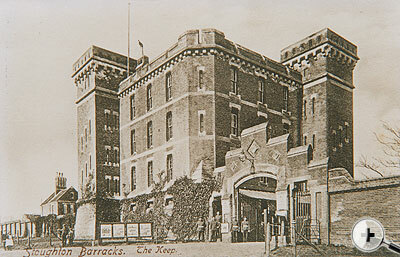 All Regimental Depots were Recruiting Offices for their own and other branches of the Services. Through these gates, in peacetime, thousands of young men passed voluntarily having chose the Army as a career, some bore of soldier stock, some attracted by the uniform, others by opportunity afforded them to serve abroad. 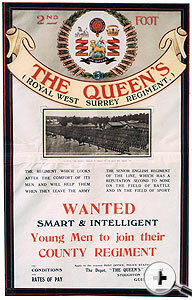 In wartime also, thousands reported here either to enlist or to rejoin the Colours, as reservists, in their Country’s hour of need. All soldiers would receive their Arms, Equipment and Uniforms from the Quartermaster’s Store situated in the Keep. The Militia also had their stores in the Keep from whence they were withdrawn at the commencement and returned on the termination of the Annual Training.